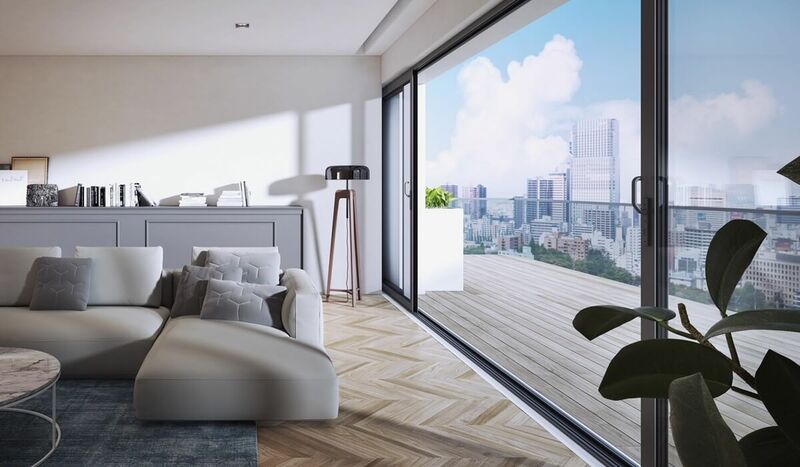 Aluprof to launch 59 SLIDE GALANDAGE, a door that slides into the wall | ALUPROF S.A.
ALUPROF, Europe’s leading manufacturer of aluminium architectural systems, has launched a new system for sliding balcony door - MB-59 SLIDE GALANDAGE. The system allows for producing thermally-insulated sliding doors that slide into the masonry wall -- once open, the door remains hidden in it. This is a particularly important feature of the system, as it ensures a seamless connection of indoor and outdoor living spaces. MB-59 SLIDE GALANDAGE sliding balcony door system comes in two options that offer different thermal insulation performances: ST and HI. It has slender, robust 3-chambered profiles, with a thermally broken, large central chamber. The range of available profiles include 2- and 3-rail frames to produce doors with wide clear passage size. The introduction of MB-59 SLIDE GALANDAGE completes Aluprof’s product portfolio. What’s more, the product can use most of the sliding hardware available on the market.